1. 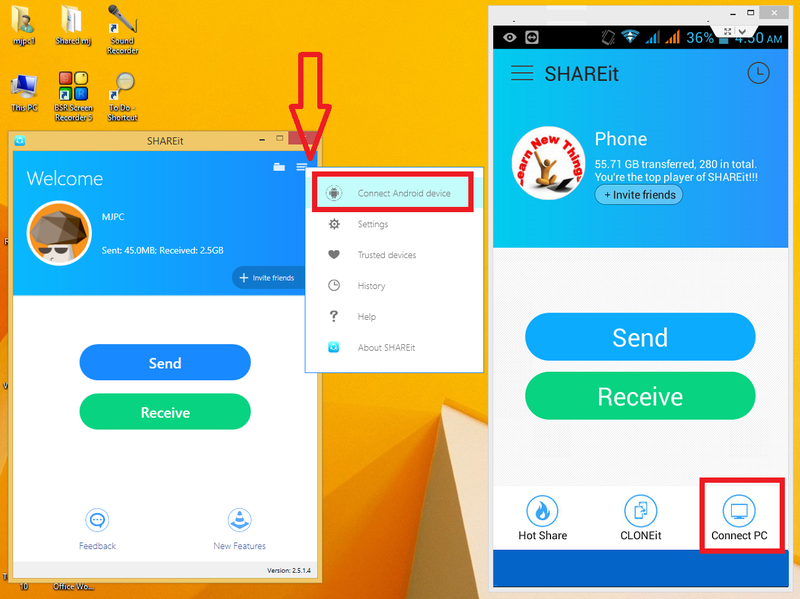 First open shareit both in phone and Desktop. 2. 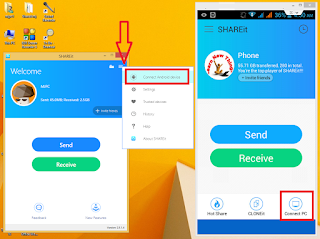 In Desktop Shareit click on 3 line button and click on “Connect Android Device” and phone Shareit tap on “Connect PC”, your PC name will display in your phone tap on that to connect. 3. 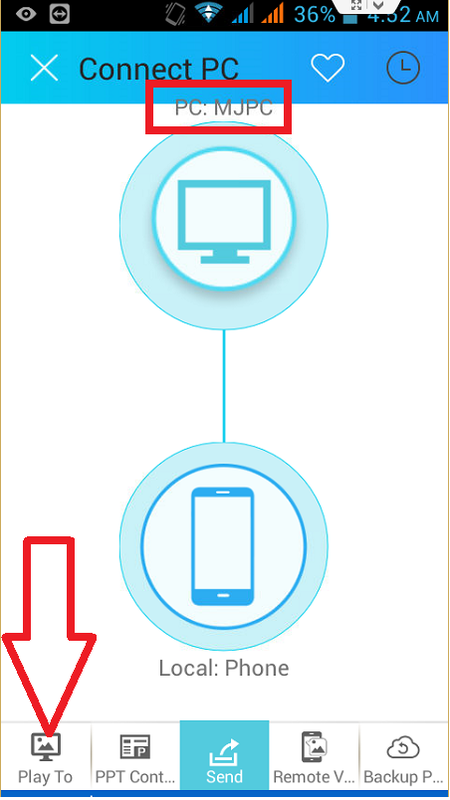 In your phone tap on “Play to” and select your picture to display in your desktop screen. 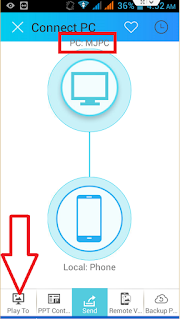 To cancel this session press back button in your phone or press Esc button in your desktop.